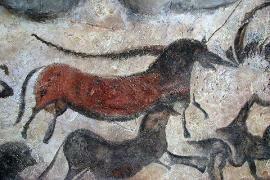 The Dordogne region of south-west France is one of the most beautiful and popular destinations in the country. Visit this beautiful region of France and discover the chateaux, beautiful medieval towns and villages, unspoiled countryside and prehistoric caves - just some of the many reasons why the region attracts visitors. 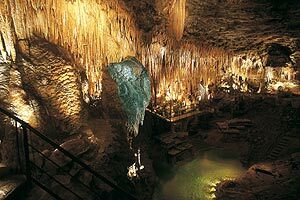 Some of the other best known highlights include the gouffre de Padirac caves and canoeing the Dordogne, with the most popular towns and villages including Bergerac, Brantome, Excideuil, La Roque-Gageac, Le Bugue, Riberac and Rocamadour. 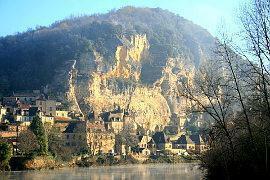 You should be aware that the 'official' Dordogne Valley often refers to the region to the east around Argentat - i.e. 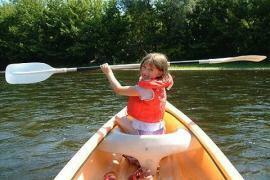 on the Dordogne river but within the Correze department - see Dordogne Valley for information. 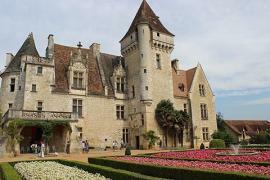 For more information about activities, visiting the area with children, market days and wine-tasting, museums and travel arrangements, and much more besides, see...visiting the Dordogne. 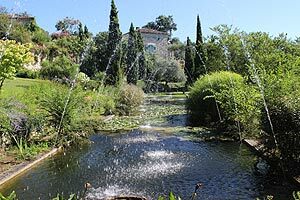 There are easy travel links by road and train to the Dordogne region of France from the UK and mainland Europe, many flights (including low cost airlines operating to Bergerac) and also international flights from more faraway places that arrive into Bordeaux airport. 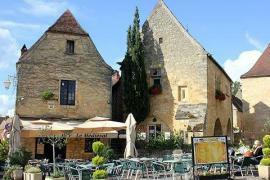 Accommodation in campsites, gites and chambre d'hotes is easily found, the larger towns have hotels, and there are many traditional French chambre d'hotes in the countryside,...see Dordogne holidays. Several of the highlights of the region are found to the south of the river and across the border into the Lot et Garonne department. 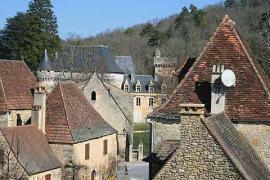 Visit our partner site southofthedordogne.com for this region and the northern part of Lot-et-Garonne. 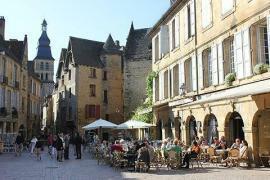 Several places along the river and to the south of the river such as Sarlat and La Roque-Gageac appear in both websites.